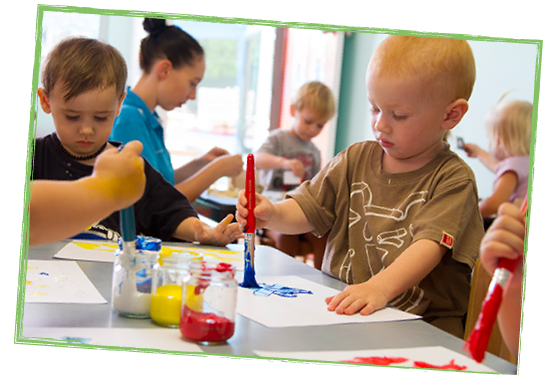 Kids on 4th Day Care Centre provides a ‘play-based’ learning program, as it is through play that children are able to make sense of their world and build knowledge from previous experiences. Through play, children learn to explore, negotiate, take risks, build relationships and create meaning, all while having fun. Every child comes to Kids on 4th with unique interests, strengths and abilities. 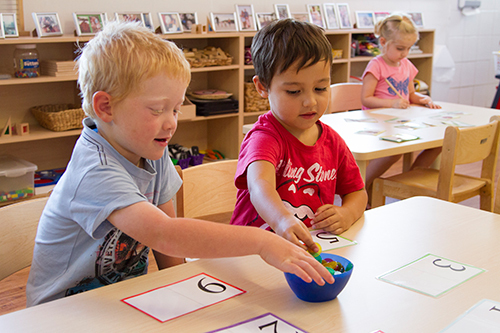 Our child care educators use their understanding of each individual child and their professional knowledge of child development, to plan stimulating environments and experiences that offer learning opportunities for all children. We take great care in designing inviting and engaging learning spaces which evoke curiosity and wonder and allow for variety and choice. Education for sustainability forms part of our program and includes teaching the children about water conservation, recycling, gardening and composting. Connecting children to nature is important to us in our programming and we incorporate a variety of natural materials into our indoor play spaces. 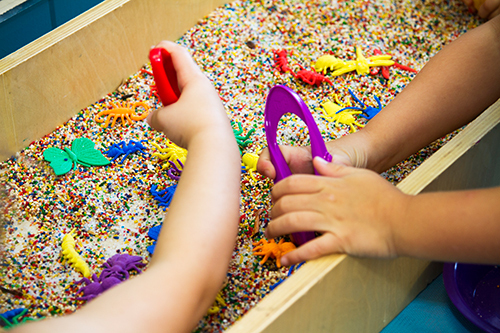 Open-ended materials such as rocks, pinecones, cardboard tubes, seedpods, play dough, buttons and driftwood can be used by children in a multitude of ways and allows children to use their imaginations and creativity. 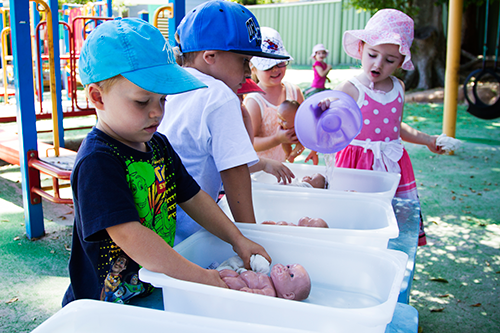 The outdoor program utilises our large natural yard, sandpit, cubby house and undercover area. Our outdoor environment supports each child’s development and provides spaces that cater for both active and quiet play. 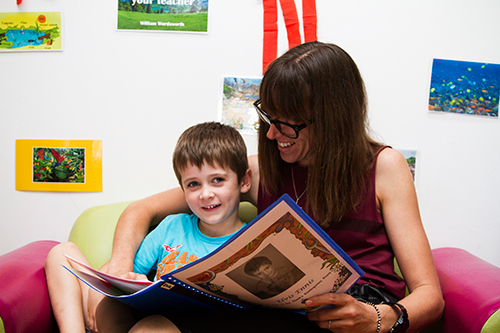 As part of our program we develop a ‘Portfolio’ to document each child’s time at Kids on 4th. Throughout the year we gather a collection of examples of your child’s learning, such as observations, photos, conversations, and work samples, that provide an insight into their learning and development. These portfolios are also used by our educators to help plan experiences that meet the individual needs and interests of your child. Portfolios are available for families to view their child’s progress and provide us with feedback. At the end of the year each family is presented with their child’s portfolio as a keepsake of their time at Kids on 4th.